One might question the prudence of putting on a sweater and hat and going outside in sweltering weather. And then taking pictures of it. 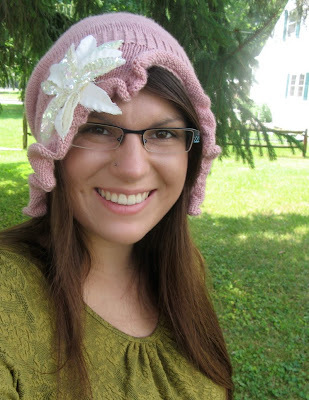 But if you had just finished a hat this cute, I think you would too. Modifications: I think I picked up an extra 4 or 5 stitches around the brim, because I sure wasn't going to count all over again. Other than that, none. I love the '20s vibe I get from this one, which is totally not present in the magazine picture. With the Extreme Ruffleage, I was a little concerned that it looked too much like... well, a bonnet. (The pink did not help in this case.) But block it and slap a flower on it, and it says, "Hello my name is Cory and I am so cheeky that I might just explode" instead of "Hi, my name is Cowy, don't judge me, I can't quite pronounce my r's yet because I'm a giant toddler." 1. A fitted shape in a chunky yarn. My widest point is at the chest, and without shaping at the waist, anything chunky makes me look like a refrigerator. 2. 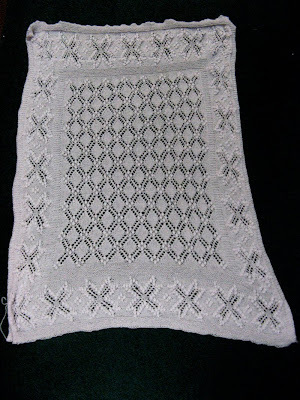 Traditional shawl collar and motifs. I chose garter snakes and flying geese - the first for the little garter snakes my brother and I used to find in our front yard (and, okay, also for the not-so-subtle knitting reference), and the second for the Canada geese that hang out on Issaquah's Lake Sammamish, another favorite childhood destination. I'm kicking myself for not writing up what I did. 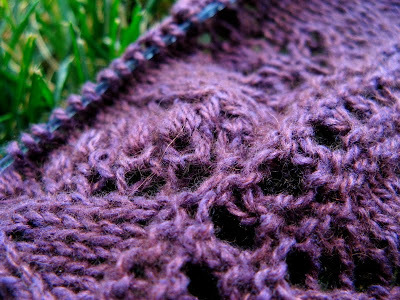 I do know that little to no intarsia was used in the making of it (because I find intarsia way too fiddly) and I learned quickly that yes, colorwork really does need to be on bigger needles than plain stockinette. The vest was languishing on my to-finish pile - with the zipper pinned on and everything! - because... well. Because I thought that sewing a zipper to a knit was rocket science. And one of the many things I have learned from my internship at the Cleveland Museum of Art this summer is that hand-sewing is definitely not rocket science. It's difficult to execute perfectly since we are human beans and not machines, but the fundamental execution of it is pretty straightforward. 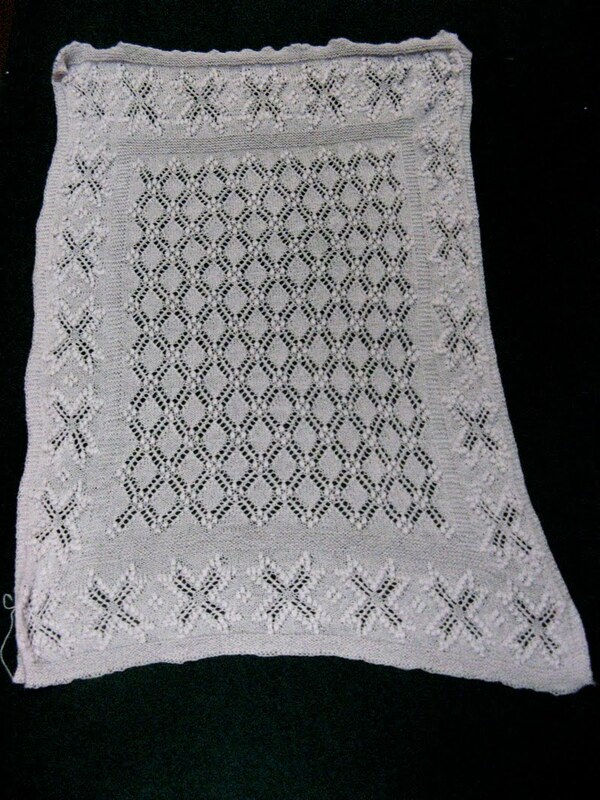 Also, knitting totally taught me how to do ladder stitch: it's mattress stitch, only on woven fabric. Crazy, right? 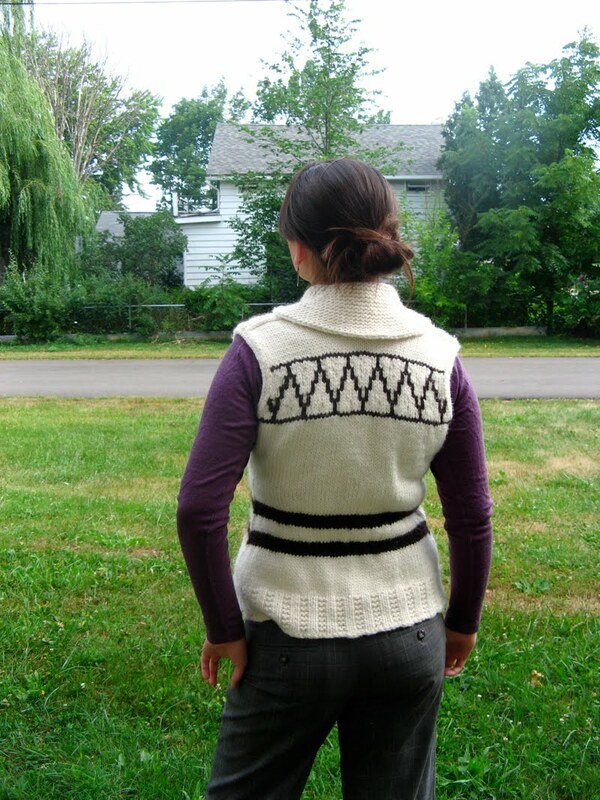 Anyhoo, the moral of the story is that you don't actually get funny looks at Slow Train (plugplugplug) like you would expect when you're stabbing yourself with a needle, stabbing yourself with pins on the way to remove them, and slowly but surely, setting in the zipper of a truly badass knit vest. Ballerina scarf and bustled dress: a surprisingly good combination. I found this scarf about a week ago at Ratsy's vintage store. It was about $5, like most of her scarfy offerings. It has the cutest little ballerinas dancing about the edges. I love the contrast of orange and white and there's also a deep blue in the skirts too. I was debating whether it was too cutesy, but my intense fondness for ballerinas won out. I didn't ever go through a horse phase as a child, but I did go through a period of wanting to be a ballerina. I adored the flouncy tutus, seeing the Nutcracker at the Pacific Northwest Ballet and changing from a fancy dress into pajamas at intermission, the Degas dancers that my mother hung on the wall of my Monet Water Lilies-themed room, the miniature Angelina Ballerina books that I read from cover to cover. I've been thinking a lot about self-image lately. I realize that this blog is a bit of an exercise in narcissism, as many blogs are. I wonder with every image I upload, is this unnecessary? Does this tell a story? Do I look self-absorbed/pretentious/pretty/ugly/fat? With scrutiny of women's bodies touted as an appropriate element of television and internet media, I can't help but look at myself the same way. When it comes down to it, there aren't many women who look like me in the popular media. In fact, I don't see a representation of most of the women that I know, and many of the things that I find the most beautiful about my friends and me - tightly corkscrewed curls, small chests and big hips, big chests and small hips, hands that have seen work, curvy stomachs, strong noses - are ignored at the least and criticized at the worst. Which is where blogs come in. Blogs were a big part of why I started knitting more, and why I got better at knitting. I pored over Grumperina, Brooklyntweed, and Cosmicpluto on breaks between writing sentences for a grammar workbook. (Find the preposition in this sentence: I would like to put that yarn on my face.) As the years passed, my list of oft-visited blogs got longer and longer. 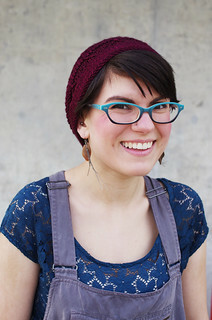 One thing that I really appreciated, and still appreciate, about these blogs, is that they're written by normal people who eat carbs, who have illnesses and dogs who shed and the same wonderful imperfections that we all have, who knit garments for themselves that fit well and look beautiful. After seeing so much whackadoodle body image garbage on television (for instance: Britney Spears is or ever was fat. Uhhh yeah, in Backasswards land...) it's so, so wonderful to see a diverse group of people with great senses of style, gobs of talent, and pointy needles to make the magic happen - all of whom are also gracious enough to share photographs and thoughts and projects with the internet. In the end, I'm not sure where I fit into that blogging community that I find so beloved. And that's ok. But if y'all ever tire of seeing the same "Cory puts on a dress and stares out into space artistically lol" content, please do feel free to let me know. 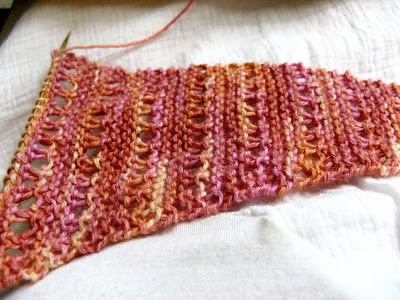 Cast on for something new - a sample for Smith's knit out of Manos del Uruguay Serena, a beautiful cotton/alpaca blend with an interesting hand and muted, cotton-y colors. The pattern is Lacy Baktus, a simple knit with eyelet and garter stitch, a nice palette cleanser after knitting a whole lot of charted lace. A water main broke in Oberlin yesterday, so we're on a boil advisory, but luckily I put a pitcher of fresh mint water in the fridge a few days ago, which has been nice to drink while watching movies and knitting on this incredibly lazy weekend. Today we drove into Cleveland for dim sum and shopping for groceries at Tink Holl, an Asian market that has everything from mochi ice cream to mi goreng to possibly the most delicious fresh barbecued pork ever. I've been looking for any sort of Indonesian/Balinese food in supermarkets since I got back. For breakfast every morning, my host families all served me some variation of mi goreng (which is sort of like ramen, but spicier, without broth, and sprinkled in this amazing crunchy stuff), coffee-flavored Bali cakes, and coffee so thick with grounds and sugar that you had to strain it with your teeth. A lot of the kick-your-face-in-spicy stuff that was standard fare and so amazingly good isn't really obtainable except at a dusty warung with a mangy dog or two hanging out beneath the table, where the woman in the kitchen can bang out five orders of fried rice in as many minutes and you drink coca-cola made with real sugar through a straw because the lip of the can is rusted. 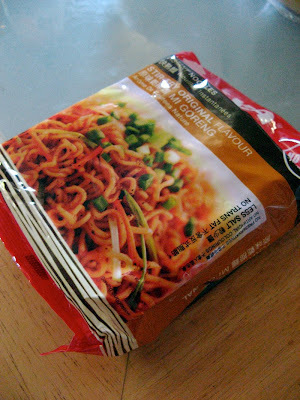 While such places might exist somewhere in the US, I figure it's probably easier to go for the mi goreng. And Tink Holl... it has it. I know what I'm having for breakfast tomorrow. My various lace projects are making progress. 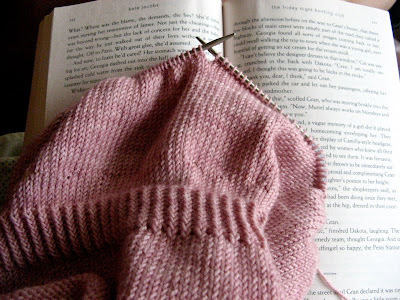 While riding to Cleveland, I knit the last 12 rows of garter stitch of the center of Crown Prince. Apparently a few of the servers at the dim sum complimented my knitting, although my housemates do not view my lace-knitting as awesome and instead tease me that I am like a female Benjamin Button, and that I am secretly seventy-six and hiding a whole lot of cats in the house somewhere despite my outward appearance of twenty-somethingness. To which I say, humph. And dang those whippersnappers, 'cause they don't know what kind of "you're my friend and I like you well enough to knit you things out of cashmere/Malabrigo/endangered pygmy yak fleece" gifts they're missing out on. 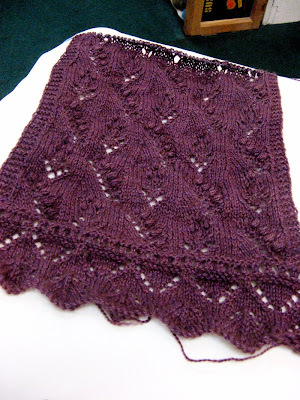 Like any true lace fiend, I've already cast on for another project. This one is the Lily of the Valley scarf from (what else?) Knitted Lace of Estonia in Jade Sapphire silk/cashmere. 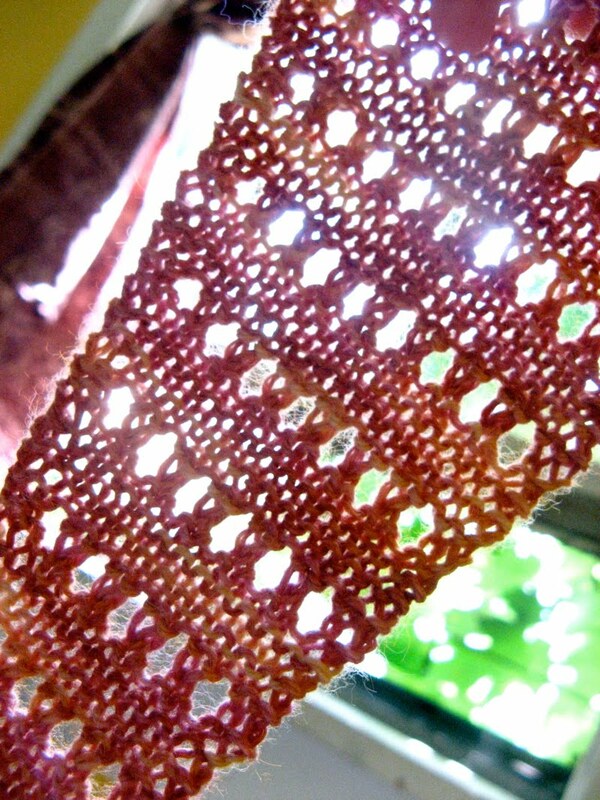 I think the yarn is a natural brown base, and is dyed a beautiful berry color. 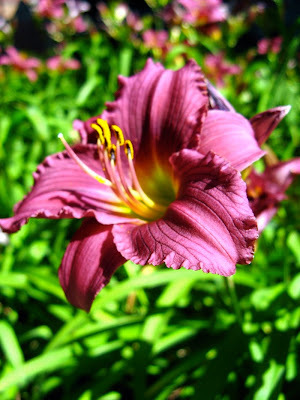 It's a shifty color - it glows bronze in the sunlight, dark lavender or brown in other lights. I'm knitting it as a gift. Oh shucks, gotta work with cashmere. I'm so sad. Oh, Lilac. You make me swoon a little. This scarf is going to be for some female-bodied member of my homestay family in Japan this fall. I hope that they like it. Now, for the man scarf! A beautiful day in Oberland. I got some handwashing and ironing done. 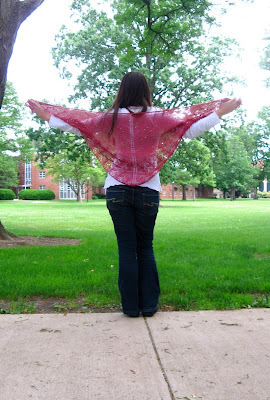 I'm scheming to do a little bit of silk painting tomorrow - I have a silk scarf that I found for $5 at Ratsy's a while back, and it's sort of a weird unflattering color, so I'm going to dye it. Steady progress is being made on Lilac Leaf; just a couple more repeats of the leaf chart, then the edging and grafting and this baby's done! Just in time, too - I just got confirmation of my homestay placement (although I don't know anything about how many people are in the family or if there's kids), but either way I need to get started on a man's scarf. 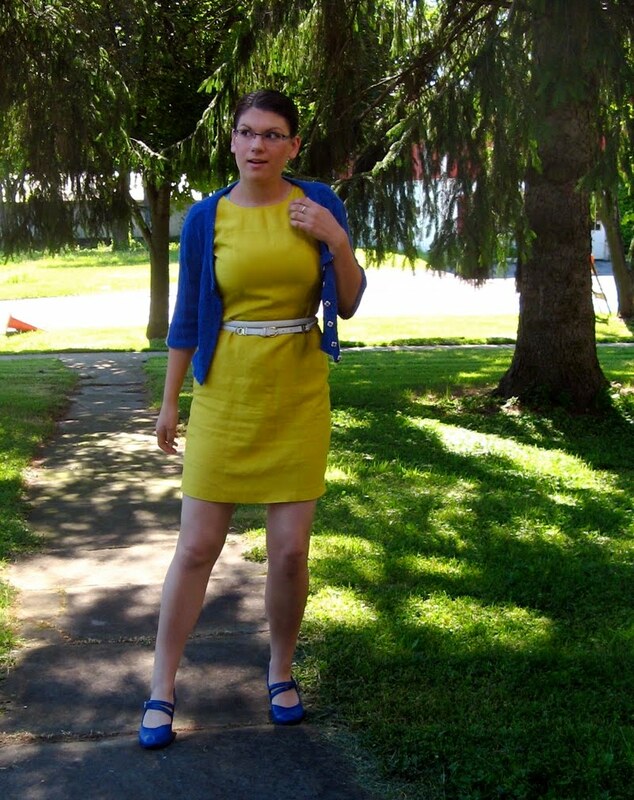 Epic vintage haul: Part III: yellow is the color of the day! Hoo boy! 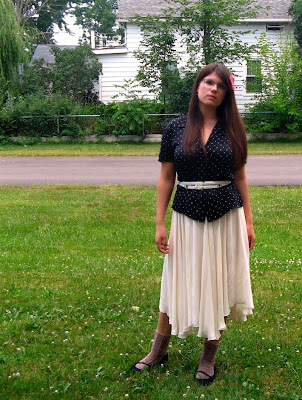 Here's some more from last week's thrifting excursion. The first is a great little sweater I got for 99 cents at the Elyria Salvation Army. I wish I had a better picture of it, but unfortunately my camera crapped out right as I finished taking this one. It's a size 42, the tag says Halle Brothers (which my friends told me was a chic department store back in the day), 100% wool (!!!!! ), made in Hong Kong. When I picked this up, I thought for sure that it was acrylic, as there are more than enough little lace sweaters that look cute but feel like crap because... well. I guess I'm biased (and a snob) but I'm just not a fan of acrylic, even in vintage stuff. 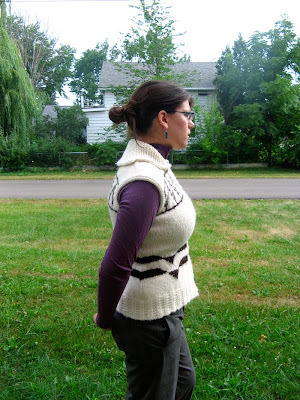 The sweater has a crocheted button band and collar, which is nice and sturdy. And then there's this dress, also from SA Elyria. (You'll have to forgive the dorky expression.) It's (suprise) a sheath from Anne Taylor that is (legitimate surprise) a size 4. It's linen and wrinkles like crazy, but damn if it doesn't look smashing when worn with the right attitude and heels. 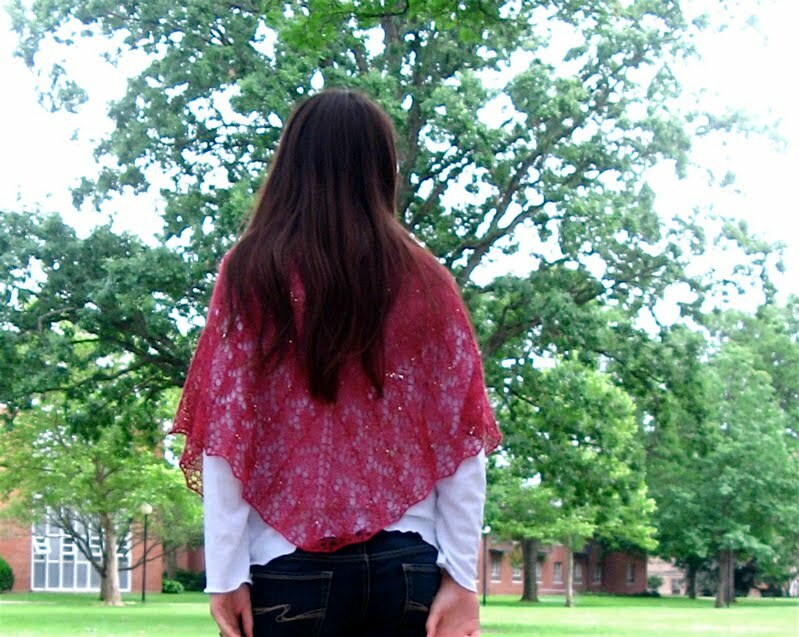 For actually wearing it out I nixed the matchy shoe and cardigan combo for no cardigan, but otherwise: perfection. It's such a great color yellow, and I got several compliments on it today. Also adorable: buttons up the back. Nigh impossible to get myself into without help, but so worth the cute factor. Now all I gotta do is throw my poke-your-eyes-out yellow Koigu socks at these pieces, and I'd have quite the outfit. I finished this one a while ago, then dropped it off at Smith's to be used as a store sample. 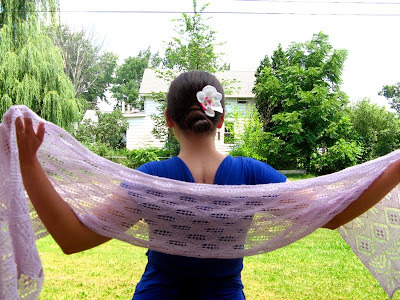 I have mixed feelings about this project - it's pretty, but I had to skip a few rows of edging because I didn't have enough yarn - something I should have forseen, but couldn't much combat because I was already making the small size and had limited (and expensive) yarn. However, it would look quite smashing with a black dress and heels, maybe at a night at the theater on a summer evening in Seattle. You and me, Ishbel, we got a date. Yarn: 2 skeins (330 yards total) of Artyarns Mohair Splash. Notes: I found several knots in the yarn, one of which I cut out and another that I didn't notice until it was already inches past. This yarn is beautiful, but sort of hard to work with because of the beads and sequins - mostly because it was difficult to maintain tension. 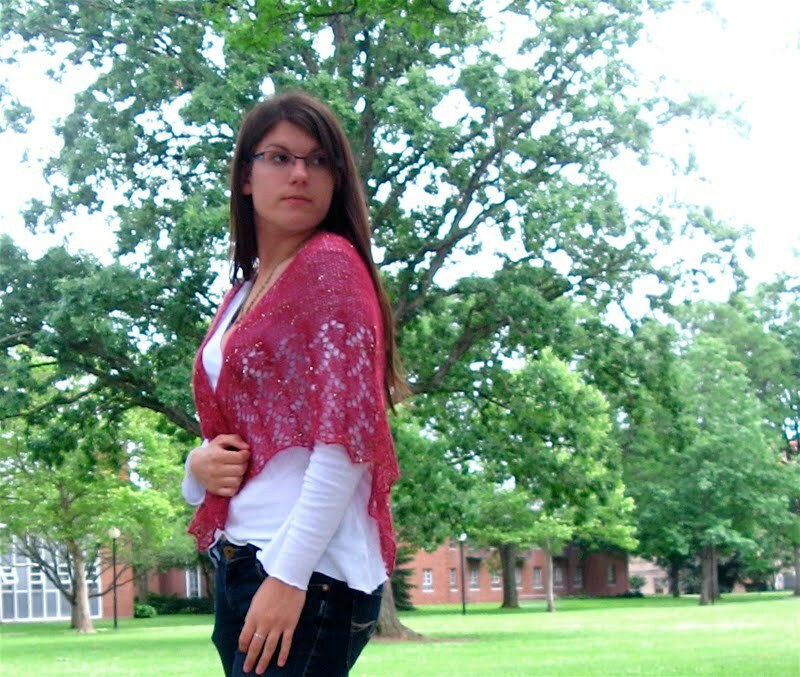 That being said, the extra "stuff" in the yarn lends the shawl a lovely weight and sparkle. 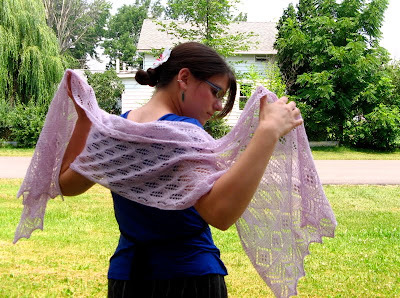 If I were to knit this particular project again, I would probably go down a needle size or two. One little nitpick: because I wasn't able to maintain even tension, one line of yarnovers is noticeably looser than the other (also due in part to the difference between yarnovers before knit stitches and yarnovers before purl stitches). 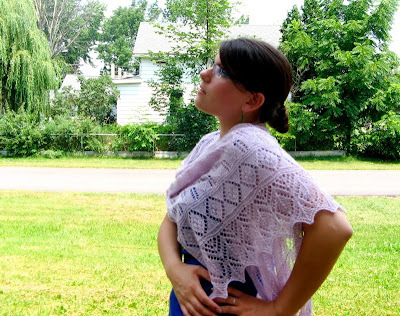 In general, I prefer a non-yarnover increase if they are to be worked at the beginning and end of every row, as a true lace knitting looks a little different than knitted lace with yarnovers only on one row for every two rows worked and the rest of this shawl uses knitted lace style yarnovers. 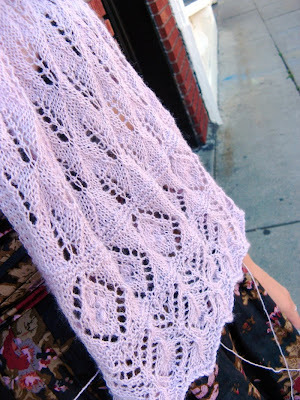 I may be the only person in the world who thinks this, but I'm actually not a huge fan of lace knitting; I like the twists and sturdiness of knitted lace. Faggoting is gorgeous, but un-reinforced yarnovers just make me nervous. 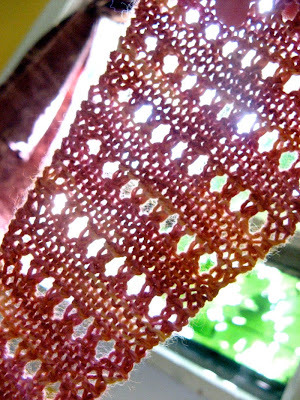 Snags are bound to happen, and that little extra twist is protection for delicate lace stitches. However, all of those things are pretty small. Overall, a fun project with a beautiful result.